A bench of Chief Justice Dipak Misra and Justice AM Khanwilkar and DY Chandrachud said "We are of the view that it is not the stage to interfere (with the appointment)." Petition against Justice Gogoi's appointment as the next CJI was filed by two lawyers. The petition against Justice Gogoi's appointment as the next CJI was filed by two lawyers. In their plea, advocates RP Luthra and Satyaveer Sharma had said they were seeking adjudication of the question of law relying on the contents of the press conference of January 12, called by four senior judges (Justices Chelameswar (since retd), Ranjan Gogoi, Madan B Lokur and Kurian Joseph) of the top court. The plea had said the petitioners were also relying on an undated letter addressed to the Chief Justice of India and circulated by the four Supreme Court judges. "This act of the four senior-most judges of the court was not less than a sabotage to the judicial system of the country. They tried to arouse public furore in the country in the names of certain internal differences in this court," the plea had alleged. It had said that "the petitioners are aggrieved of the actions and omissions on the part of respondent 1 (Union of India) and respondent 2 (Chief Justice of India), which has resulted into appointment of respondent 3 (Justice Ranjan Gogoi) as the Chief Justice of India instead of reprimanding him for his illegal and anti-institutional act". The petition had claimed that the act of Respondent 1 and Respondent 2 "is illegal and unconstitutional and also against the canons of law because the appointment on highest post of judiciary has been awarded to a person who is guilty of committing judicial impropriety and judicial misconduct". 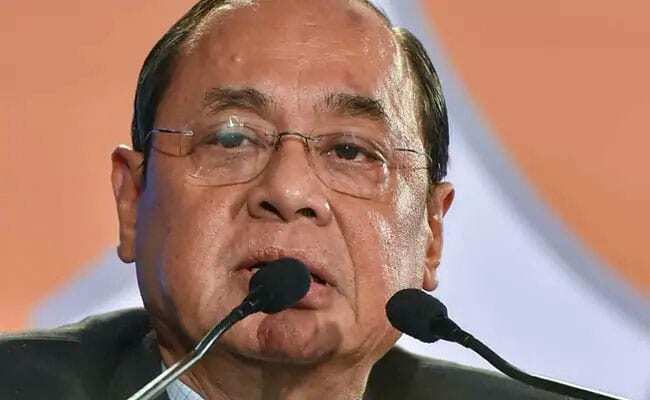 It had sought quashing of the order of appointment of Justice Ranjan Gogoi as the Chief Justice of India with effect from October 3. On September 3, the President appointed Justice Gogoi as the 46th Chief Justice of India. He will take oath on October 3 after Chief Justice Dipak Misra retires. Justice Gogoi will be the first Chief Justice of India from Assam. The warrant of appointment of Justice Gogoi as Chief Justice had come in less than 10 days after Chief Justice Dipak Misra recommended his name as successor. Justice Gogoi would have a tenure as Chief Justice of India of about 13 months till his retirement on November 17, 2019.